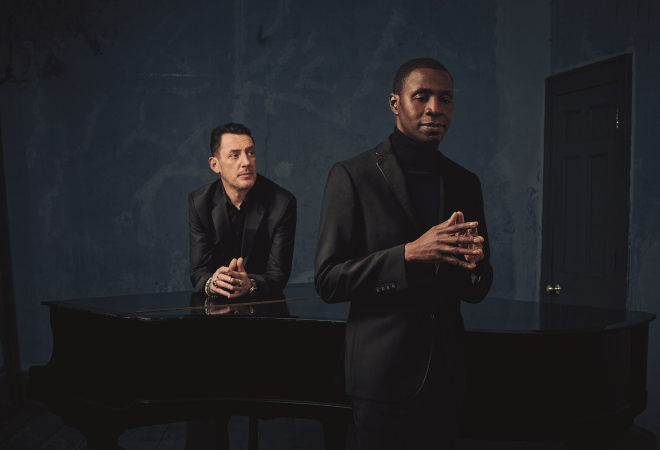 Lighthouse Family are back with a UK tour and their first studio album in 18 years ‘Blue Sky In Your Head’, due out on 03 May 2019. The new album will include ‘Essentials’, featuring the all the bands classic songs remastered for the first time in celebrating of their 25 year recording history. Melodic, upbeat lead single ‘My Salvation’ is the perfect track to mark Lighthouse Family’s return and sits perfectly alongside fellow uplifting tunes such as ‘Lifted’, ‘High’ and ‘Ocean Drive’. Tunde Baiyewu and Paul Tucker formed Lighthouse Family after meeting at Newcastle University in the early 1990s. Their 1995 debut album ‘Ocean Drive’ spent almost three years in the album charts and has since gone 6x Platinum. Their 1997 follow-up ‘Postcards From Heaven’ also went 6x Platinum and included three Top 10 singles ‘Raincloud’, ‘High’ and ‘Lost In Space’. The band’s third album was 2001’s ‘Whatever Gets You Through The Day’, which featured yet another Top 10 single ‘(I Wish I Knew How It Would Feel to Be) Free/One’. Who’s Gonna Save Me Now?